Funded by fans on PledgeMusic, ‘Lunch. Drunk. 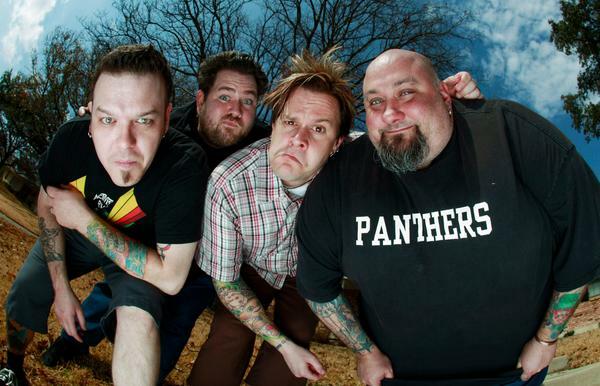 Love.’ is the 12th album from Texan pop-punks Bowling For Soup in almost 20 years together. It’s safe to say there have been no major changes to their sound since their self-titled debut landed back in 1994, and while their perky power-pop has worked for the majority of their career things have been going steadily downhill since 2009’s ‘Sorry For Partyin’’. ‘Lunch. Drunk. 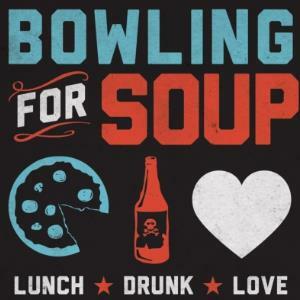 Love.’ is an album of lazy song writing, swear words and mass innuendos, but it’s obvious that their fans still love and trust Bowling For Soup as over 3,500 people put their hands in their pockets to pledge for the record. This latest album marks the end of an era for the band, with their October UK tour set to be their last as they turn their attentions to their families. They claim it’s good news as it means they’ll be producing more material rather than concentrating on live shows, but it’s a real shame that their annual jaunt across the country will be disappearing as their live shows are, and have always been, tremendous fun. ‘Lunch. Drunk. Love.’ contains many of the same conventions as every other Bowling For Soup album and some tracks here duly bring a smile to the face. Opener Critically Disdained, for example, has a great hook and demonstrates the energy and pop nous the group are known for. The themes and lyrics that dot the record also haven’t changed, with crude couplets melded onto songs about girls and theme parks. On I Think You Like Me Too Jaret Reddick sings: “We went to Six Flags and we cut in all the lines/And then you flashed your boobies on the rollercoaster ride.” But he then comes close to a winning sentiment on Normal Chicks as he says: “There's nothing you need to fix/I like normal chicks.” Elsewhere, I Am Waking Up Today treads some boring and predictable ground, while How Far This Can Go is too cheesy for words. If you’re a fan of Bowling For Soup’s scattershot style then there’s plenty to adore here, but anyone hoping for a few curve balls will be left disappointed. This lot haven’t changed, and after a couple of decades on the road it’s doubtful that they ever will. 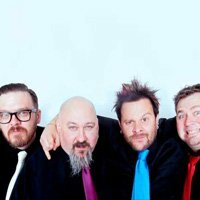 Click Here to Compare & Buy Bowling For Soup Tickets at Stereoboard.com. Bowling For Soup will return to the UK for their Almost Christmas tour. Bowling For Soup have released their first music video in seven years. Competition closed. Please check our blog to see if you're a winner! Bowling for Soup will embark on their biggest ever UK headline tour next month and Stereoboard are giving you the chance to win a pair of tickets to your preferred date on the trek.